First may I say when a few fellow Christians heard I was going to do this, I got a very surprising reaction. I was ridiculded and told I was not doing God's will. Well, I have prayed diligently about this and I believe it is God's will. Provided I do as He says. There are so many out there that are confused. We are Christians but all of our children do not understand why kids are being mean to them. Children don't understand why they can't dress-up and go 'trick or treat'. I have faced this exact dilemma. Wether it is the parents raised differently or the parents not being Christians very long. It can be a problem. I pray the few pages that will be with this area will help you. 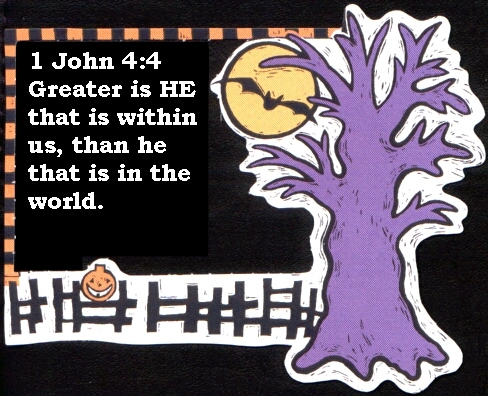 I will also have some links to other Christian Halloween Sites listed. How should Christians react to Halloween?